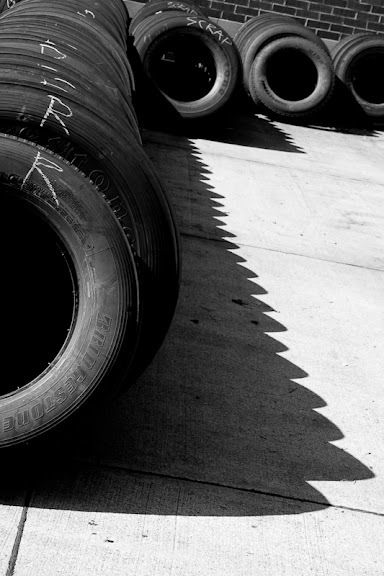 Used bus tires await their fate at Hampton Roads Transit's maintenance facility. Most are destined for retreads and reuse. HRT buses travel over 12 million miles a year, so we use a lot of tires. Like many transit operators across the country, HRT saves money by leasing its tires. Canon 40D, 1/125 sec @ f/9.0, ISO 200 converted to black and white in Adobe Lightroom 2.5.